Tinto is a Basque bar and restaurant located in the Rittenhouse Square neighborhood in Philadelphia, showcasing the best cuisine of Northern Spain and Southern France and a deep, focused wine list. We are seeking an experienced bartender that is passionate about the same things we are - hospitality, food, and beverage. Candidate should be able to multitask efficiently, work in a clean and organized fashion, and pride themselves on delivering a great guest experience. Weekend and night availability is required. We are built on a foundation of deeply rooted Latin culture, cooking and hospitality. As an established hospitality group of over 12 years, Garces has cultivated a team of talented restaurant professionals committed to our passion of Latin inspired hospitality. James Beard Award Winning Iron Chef Jose Garces would like to invite you to be a part of his dedicated team. Come grow with us! An experienced bartender that is passionate about the same things we are - hospitality, food, and beverage. Candidate should be able to multitask efficiently, work in a clean and organized fashion, and pride themselves on delivering a great guest experience. -We offer the opportunity to work with some of the country's most respected culinary and restaurant professionals. -Career advancement is of the utmost importance! 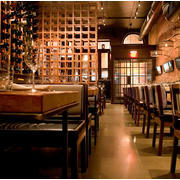 -Employee dining discount at all Garces restaurants. Our culture of Latin inspired hospitality is driven by passion, integrity, and warmth. Built on a foundation of respect for quality along with pride in our cooking, we are a family of professionals who are unified in providing heartfelt service to our guests. There is always a seat at our table. Garces is an equal opportunity employer. We provide equal opportunity to all applicants for employment without regard to race, color, religion, gender, sexual orientation or preference, national origin, age, disability, genetic information, marital status, amnesty, or status as a covered veteran in accordance with applicable federal, state and local laws. Tinto is an intimate Basque tapas bar and restaurant serving small plates such as montaditos (crostini), bocadillos (finger sandwiches) and brochettes (skewers) typical of northeastern Spain’s pintxo bars, complemented by the region’s ciders, sangrias and of course, a great deal of wine. The restaurant showcases the flavors of the mountainous coastal region that blurs the lines of demarcation between Spain and France, all in a cozy setting that includes two distinct dining rooms and a sultry underground lounge.